How beautiful can the ‘wilderness of our existence’ be? Both levels of existence have commonalities, and there are many means by which to make THIS world a better place. Albeit, all meaningful ways as such are inclusive of these things: ‘true freedom,’ aka the accumulation of light and lightness, and its almost-unblemished and/or genuinely unblemished true love and true responsibility of universal compassion and harmoniously-balanced empathy. There are many means by which to make the world a better place – but all meaningful ways, to be exact, are inclusive of this level of grace and the freedom to artfully appreciate what we have. “There is a place where, wherever you are there, whatever you are doing…no matter what, in any given moment, there should be nowhere you would rather be. It is where you are right now – and you have the ability to so deeply and artfully appreciate your life and its living…to connect one healthful insight to the next, and make them all one…learning to witness this already-existing truth. What is the importance of doing the right thing for the right unselfish sake? Response: Thanks so very much for your question. Humbly and respectfully, Acting Without Acting (Wu Wei) is the most central feature of the ages-old Bright Beautiful School of Thought (Ming Chia). It is a deeply loving, altruistic, and empathetic health/wellness philosophy that (genuinely) so-humbly sets forth that, through true effort one can learn to better and better realize true happiness through learning the genuine skill of doing the right thing for the right unselfish sake. So quite so, this is ‘tough stuff,’ to say the very least! Accordingly, it is learning to (more and more) selflessly treat life as a living loving art form…more and more each moment. It is in the benevolent spirit of true appreciation for the miracle of the moment, more and more each moment. 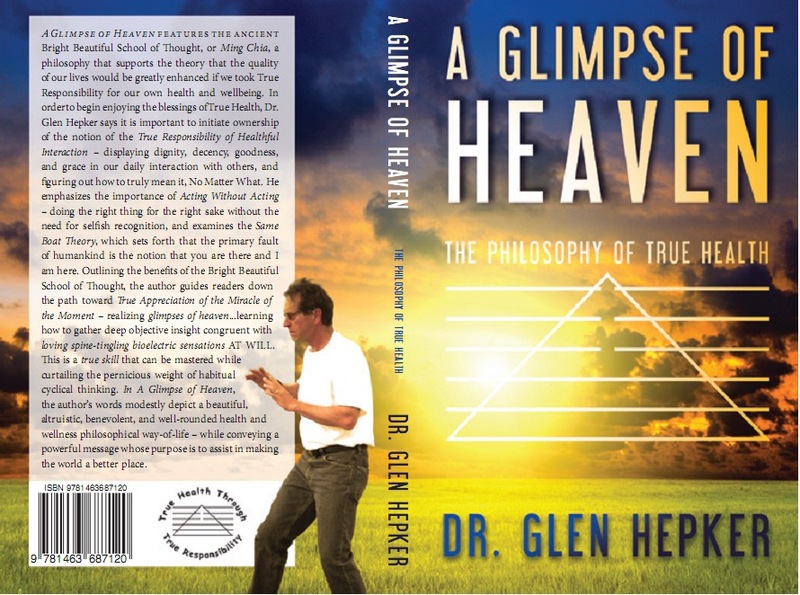 Congruently, IF there is a Heaven, a ‘key to the universe,’ or even a ‘sixth sense,’ they are rooted in true honesty and true appreciation, promoting of true happiness and true freedom – but most importantly, needing less and less to hide behind. Put most simply, the world can obviously be a perniciously difficult place, and consistent with this philosophy, this difficulty is rooted in craving, desire, and fear of healthful change. That said, one can learn to better and better witness ‘glimpses’ of a so-to-speak existence where there is no time, no space, no distance…no yesterday, no today, no tomorrow…and once again nothing to hide behind, all is known. This ‘skill,’ which may take decades if not a lifetime to even begin to become good at (very strange to consider from the perspective of our culture), can manifest as the difference between living the living loving story of our lives, vs. just being a pawn to the story of our lives. One can learn to develop a way of life in which so-coined craving, desire, and fear of healthful change are not present, at least slightly more than not. It is requisite of insight that, one of the greatest gifts of all is that there is always room for improvement on this Earth, vs. ongoing stagnant plateaus which are like a living death. Likely all or most all good work and intentions are of significant intrinsic value (and accordingly, it is QUITE easy to fool oneself with regard to one’s actual level of selflessness, i.e., the ‘sake’ with which we do good things). What this philosophy sets forth is, that the spirit by which one goes about doing what one does, is among the most important of things: There are magical things (not speaking of parlor tricks) going on inside of us, and all around us, ALL of the time (for which most people are untrained to witness and appreciate, or simply don’t care – lost in the spirit of survival – just getting by, by the ‘skin of their teeth’ – vs. a more healthful spirit of thriving). The splendidly healthful spirit of Acting Without Acting can allow one to, through the CLEAR lens of unblemished witnessing (i.e., a refined mindful/meditative spirit – ‘true meditation’), behold these beyond-words magical blessings/gifts. This is, once again, in the deeply loving and altruistic spirit of true honesty, i.e., there is a true love, inclusive, but much more than, familial, friendship, and romantic love. “It may be accurately said that “there is nothing perfect on this earth,” albeit employment of healthful loving compassion in our support of others may be among those things that are ‘as close as it gets.’ In these traditions, realistic and compassionate support of others is a common means by which to enjoy those wonderful ‘spine-tingling’ feelings, coined herein as one aspect of a glimpse of heaven. As opportunities arise in which we can allow ourselves the true freedom to support others in their ability to succeed, we may learn to objectively witness, grasp…a true appreciation of the miracle of the moment. In our interactions with others, special moments, opportunities, manifest regularly…even if we have developed an unhealthful habit of ignoring them…these gifts. During difficult times in our lives, it is likely that we gravitate less and less toward being kind and compassionate. Even so, is it possible that we can raise ourselves back up to land-level (and beyond) by reaching out with selfless compassion and honest empathy? Change is difficult, but we can always succeed if we never give up trying. How much sincere critically thought-out and/or justified doubt is there in this? We have a responsibility to ourselves to overcome or outgrow our demons. We allow them to haunt us and it is unlikely that there is a more effective means to deal with them…than to display compassionate empathy and healthful support toward others. When we selflessly support the ability of others to realize success in their healthful objectives, there is nothing more healing, more compassionate that we can do for ourselves. It is this selflessness that is the key that unlocks the door to true health…the living embodiment of the notion of Acting Without Acting, e.g., doing the right thing for the right sake – without the need for selfish recognition. Displaying a genuine substantial level of selflessness is not an easy task, and it may be easy to fool ourselves into thinking that we are ‘not looking for recognition.’ Exercising selfless good is a skill which needs to be nurtured, and the more and more we succeed, the more and more (accordingly) we will recognize that there is no need for recognition and/or reward: Witnessing true health in an unblemished fashion, in ourselves and in others, is of and within itself, what life can be about, at its most wonderful best. It is a glimpse of heaven. What is requisite in realizing broad beneficial changes in our cultural outlook with regard to health and wellness, and our responsibility as such? Response: Humbly and respectfully, I believe that we need to institute mandatory nutritional classes in primary and secondary schools, as part of the ‘physical education’ curriculum. To complement this dynamic, there must be a movement therein to make an adjustment to the popular culture’s notion of physical education as primarily a setting for competitive sports (only a small minority of school children fit well within the competitive popular sport venue). Such sports can remain for those who fit well within that setting. 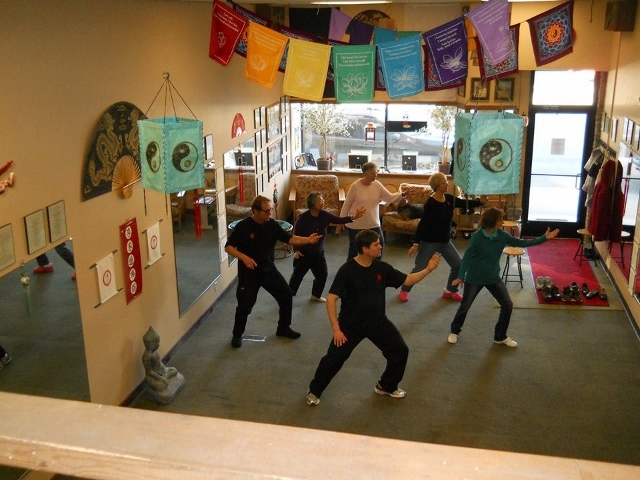 In such a program, it would also be of significant importance to teach stress/anxiety-controlling practices and remedies, possibly inclusive of even refined meditation and all-of-the-time diaphragmatic breathing. As set forth in my book, physical education in schools needs to promote a philosophical and practical curriculum for realization of true health: a genuinely healthful dietary, exercise/mobility, and stress/anxiety-controlling WAY OF LIFE is the key to taking true responsibility for our own health and well-being (and thus best avoiding chronic illness). ‘Lightning bolts’ may still strike…we all have genetic propensities toward realization of various maladies, but they will quite likely strike less and less as we ongoingly work to improve and take responsibility for our health and well-being. Again, humbly and respectfully, in most cases NOT taking true responsibility, as such, may be the REAL disease. Eventually, we would not have a so-called healthcare crisis if this outlook became the norm in school P.E. settings. In addition, the financial costs would fall dramatically, becoming less and less of a burden. Can the ‘real magic’ be in the effort? I wholeheartedly believe that our society is slowly shifting/improving with regard to being aware of what is healthful and what is not. That said, it is clear that a majority of people are NOT yet endeavoring to embrace these notions. It is the difference between thriving vs. just getting by…just surviving. This is NOT meant in a haughty spirit, I mean this lovingly and with deeply felt empathy – we all have our ‘thorns to bear,’ learn from, and grow out of, if we choose. I believe that our immune systems are able to ward-off just about anything, if we aren’t living in a state of enervation. Pristine homeostasis can be realized through embracing the broad tenets of true health, e.g., a level of healthfulness which can make widely-perceived amazing things become matter of fact/normal (for those accepting responsibility for their own health and well-being). It is ‘tough stuff,’ albeit that is not what it is about – its spirit is endeavoring to do the right thing for the right sake, without the need for selfish recognition or hidden agendas. It is a loving, altruistic, and empathetic heartfelt mien – a spirit which is the key to unlock the door to sparkling spine-tingling/shivering communication, moments that are healthful beyond rational understanding: Such CAN be witnessed, appreciated as a WAY OF LIFE, vs. only in spontaneous sentimental moments, AND put into greater and greater levels of loving application. There is a True Love, inclusive, yet more than, familial, friendship, and romantic love. It can open ANY door. Words cannot do justice for all the gifts/blessings we are given. Response: Thanks so much for your inquiry. Humbly and respectfully, I believe it is much about learning to (lovingly and selflessly) better and better play the part of an unblemished witness to one’s internal and external environments: I believe it is of utter importance not to limit ourselves to (only recognition of) typically-perceived grand miracles as the only legitimate miraculous phenomenon (i.e., ‘grand miracles’ which are outside what we perceive as our common every-day lives). I believe that we have been given the countless gifts/blessings which make it possible to experience miracles each day, even each moment. It is the difference between true objective insight and subjectivity: It is the difference between learning to better and better witness and take part in the LIVING LOVING story of our lives…vs. just a pawn to the story of our lives. What I am speaking to, is in the loving and selfless spirit of true appreciation of the miracle of the moment…more and more each moment. This truly healthful spirit is without, or nearly without craving, desire, fear of healthful change, expectations, or preset patterns of thinking. 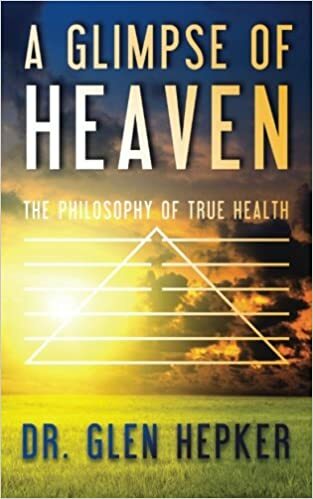 If there is a Heaven, a ‘key to the universe,’ a ‘sixth sense,’ they are rooted in true honesty, promoting of true happiness and true freedom…but most importantly, needing less and less to hide behind. It is treating life and its living as a wonderful art…with a knowledge that among the greatest of gifts, is in lovingly embracing the notion that there is ALWAYS room for improvement, vs. the living death of ongoing stagnant plateaus. Words cannot do justice for what God allows us or gives us – it is best witnessed in a loving and selfless spirit – a spirit which is in harmony with the notion of doing the right thing for the right unselfish sake. It is being an impeccable conduit between Heaven and Earth. It is a loving recognition that we all have a responsibility in making THIS world a better place. How forgiving should I be? Probably the most painful and arduous aspect of true effort is the notion of true forgiveness. It is inclusive of forgiveness of ourselves and forgiveness of others: In actuality the two often reflect upon one another and/or are one-in-the-same. In learning to witness this issue in a clear and unblemished fashion, we may realize a sense of true compassion – gathering significant insight into the notion that we are all in the same boat: Hence, the Same Boat Theory, e.g., the primary fault of mankind is the notion that you are there and I am here. I am not intentionally promoting religiosity in this writing – I am setting forth notions of a healthful philosophical way-of-life. Even so, I cannot think of a more profoundly powerful, impeccable, and immaculate example of a role model consistent with the notion true effort and true forgiveness: According to Christian teachings, as Christ was being put to death on the cross, he said, “Forgive them…for they know not what they do.” It seems quite clear that this level of true effort and forgiveness would truly be even more than just a glimpse…of heaven.